Congratulations to BMX superstar Gavin Goike. Gavin competed in the 2014 grand nationals for BMX racing recently in Tulsa, Oklahoma. He qualified for the main event both days capturing eighth place in the Race of Champions and eighth place in the Grand National Finals. Way to go, Gavin! 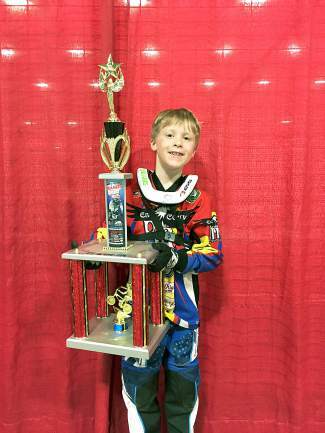 He competes locally for the Eagle County BMX team in the 8-year-old intermediate division.